Victory! On February 8, 2017, after intense pressure form Palestine solidarity and free speech advocates, HB 2261 died in committee. It will not be considered during the 2017 legislative session. In 2017, Virginia lawmakers introduced HB 2261, an unconstitutional bill that would amend the state's anti-discrimination law to incorporate a widely discredited, overly broad definition of antisemitism that includes virtually all criticism of Israel and Israeli government policies. HB 2261 would essentially classify political speech supportive of Palestinian human rights as unlawful discrimination in the workplace, in public accommodations, and in educational institutions in Virginia. 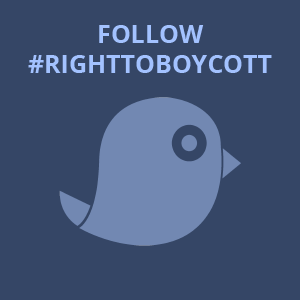 In 2016, an anti-BDS bill, HB 1282, and an anti-BDS non-binding resolution, HJR 177, were introduced in the Virginia Legislature. VICTORY! The bill, HB 1282, has been tabled. As originally drafted, the bill would have prohibited the state from doing business with companies that boycott Israel. It was later watered-down after pressure from local activists, and eventually tabled altogether.